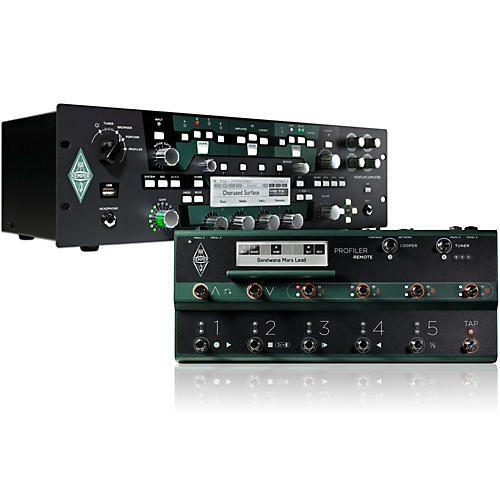 The Kemper Profiler was designed to be a complete solution for all your guitar playing needs. You can use it just like you would a regular amplifier, or you could use it as a multi-effects unit, or even as the front end for your guitar-based studio. Nearly all digital guitar amps available today offer the same features-simulations of classic and modern guitar amplifiers and stomp boxes, usually with some digital and studio effects thrown in for good measure. The Kemper Profiler doesn't simply include digital versions of guitar amps, but lets you make a "profile" of your own guitar amp to use inside the Kemper Profiler. You can also load profiles of other guitarists' amps into your Kemper Profiler. If you want a more technical description: the Kemper Profiler analyzes the sonic characteristics of a reference amplifier. This process allows it to faithfully recreate the characteristic sound of virtually any guitar amp, and adopt the behavior and interaction of the components of the analyzed amplifier. The Kemper Profiler doesn't just capture the sound of your guitar amp alone; you can also capture the sound of the cab and the mics (including the mic distance and angle). You can store 1000 amp profiles in total and it comes with 30 different stompbox effects as well as a master effects section with master delay and reverb.